AS a child, every other person has been hurt some or the other time, in various situations by the adults. How do we understand or recognize such hurtful events or traumas we went through during our childhood? Not necessarily, sexual or physical abuse, someone’s death or abandonment are the only reasons for being hurt. The trauma can also be created due to a feeling of being neglected, rejected, criticised, or humiliated by the parents or an adult. 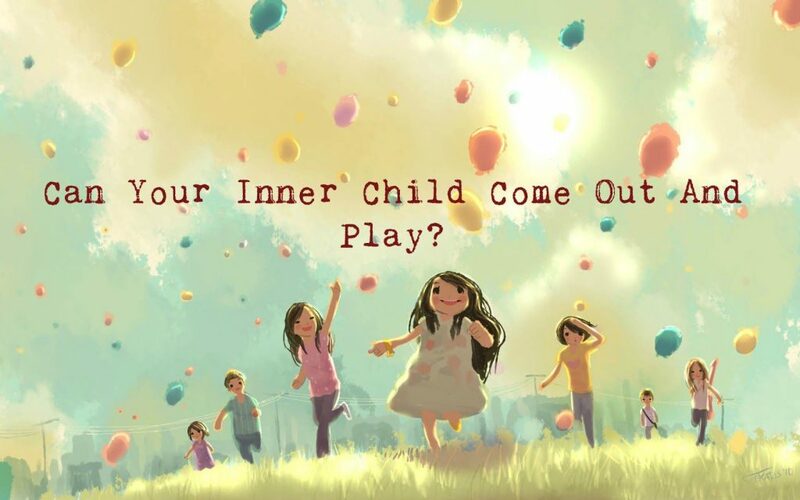 Did you ever think that inner child has something to do with a small child within you? The concept is completely different. The basic idea of an inner child is that each one of us has a child alike facet in our unconscious mind. It is a part of our personality, may be called a sub-personality that can be bold enough to take over when faced with challenges. Many a times, you must have come across situations when you feel a strong emotional connect with something or someone. Suddenly, a button is pressed and a gush of energy and intensity fills you. This sort of instances reveals that there is some kind of old connection involved and your inner child is causing pains to you. If we try to dive into the depth of this topic, inner child is real to some extent metamorphically or symbolically but not accurately real. The point of explanation is that the inner child is a psychosomatic or phenomenological truth. Each one of us was a child at one point in time and still, the child dwells within us. The conscious connection becomes absent from our own inner child. I want my childhood back. Nobody is going to give me that…. I know it does not make sense, but since when is Christmas about sense, anyway? It is about a child of long ago and far away, and it is about the child of now. The author Robert Fulghum, wonderfully describes that how physically we get older but that doesn’t mean that we are bound to grow psychologically as well. The society and the situations may have snatched our childhood from us. They may have asked us to keep our childish things like playfulness, joys, sensitivity, wonder, innocence, completely aside as now we are adults. Our inner child somewhere dies a slow death each day while growing up as the adults instead of acknowledging or appreciating these qualities, they neglect, disparage, deny, abandon, and reject our childlike aspects. As grown-ups, we treat our inner child the same way as our parents or the adults treat us. Not just the positive qualities of the inner child get neglected, even the fears, hurts, and traumas of the inner child are abandoned through the very same neglect. In the real world, do you think we can turn out to be happy adults while there’s a wounded child within us? Do you think is it possible to connect to another adult on a context of a healthy intimate love relationship, when part of us is holding onto hurt, anger, pain, and more within for not being loved well by our parents? As adults, we may believe that we have got over those experiences from childhood and left all the challenging experiences behind. But, the truth is that the emotional baggage cannot be outgrown. It must be accepted, recognized, paid attention to, and work over it in order to be able to let it go completely. The truth is, we are controlled subconsciously by the experiences of the inner child. Depending on the history, our sub-personality behaves. It can also go to extremes like the inner emotional child directing us to wound ourselves or control our adult life. Don’t you think it is rational to believe in the capacity of a child to have a mature relationship? Constantly navigating between family, friends, career, and even maybe parent to their own children, the inner child is never attended to. No wonder that relationships fall apart or we have difficulties in our career when inherently we start feeling anxious and afraid like, 5 years old, when we don’t know how to set up and communicate our boundaries. It is just because we are afraid of speaking up for our self as we fear of abandonment just like when we were children. We never thought of, doing it while growing up. So, the inner child is apprehensive and directs us accordingly while we are grown-ups. It is important to be more understanding, accepting, and loving towards our self as children. This can help our inner child feel safer enough to come to terms with the matured world and learn. To summarize, a tolerant approach and compassion towards the feelings of a child, can heal the inner child and help to enter into the adulthood with ease. Stay tuned for the next lesson on how to heal, with inner child therapy.